An archivist working at the Herbert Hoover Presidential Library has stumbled upon color home movies taken in the late 1920s by former First Lady Lou Hoover. Incredibly, this is very likely the first color film to show a US President, the First Lady, and the White House. Audio-visual archivist Lynn Smith was working on a preservation project at the library when she realized that seven reels of 16mm film from the Hoover collection were not black and white as originally assumed, but an early form of color film known as Kodacolor. 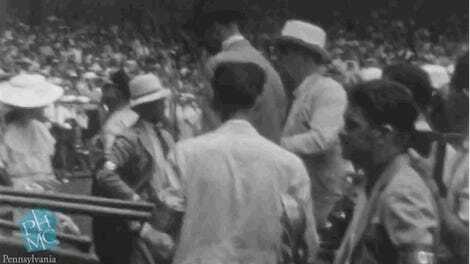 “I realized some of [Lou Hoover’s] home movies used Kodacolor film but, because it appears like black and white film, previous archivists assumed it must be black and white,” explained Smith in a Hoover Archives release. Knowing that the former First Lady was fascinated by emerging technologies, and that she had access to Kodacolor film and camera, Smith decided to take a closer look at the film, wherein she came to the discovery. Kodacolor appears to the human eye as black and white images, but the base side of the film is embossed with hundreds of tiny lenses (called lenticules) that look like minuscule ridges on the surface of the film base. The lenticules captured the color information from the scene while it was filmed through a color filter with red, green, and blue-violet stripes. In order to see the color the film then had to be projected back through a similar color filter. This format was expensive, and it was eventually replaced by Kodachrome in the 1930s, so color home movies from this period are hard to come by. Like so many home movies, the Hoover films show some of the more private and unguarded aspects of family life. But what’s particularly unique about this color footage is that it shows the White House and its grounds, and other Washington, DC, attractions. Lou Hoover modified the second floor West Hall into a room where she could show her home movies. The films show a fishing trip taken by the couple in late January 1929 when Herbert Hoover was still President-elect, scenes of playful grandchildren terrorizing a collie, vacation trips taken by the Hoovers’ sons, and touristy images of Washington DC. One of the more striking shots is that of Lou walking through the White House garden, which can be seen in all its colorful glory. 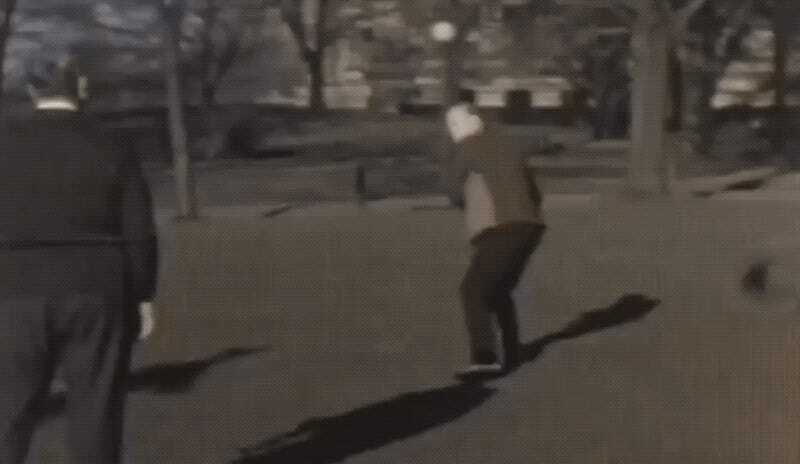 The final reel of the film shows President Hoover engaging in his morning routine of tossing a medicine ball around—an activity that would eventually become the game known as Hooverball.